CSPEN (and CPSQA) is celebrating 21 years of service to Canada’s broader public sector. Together we have served the public sector with quality and, now, excellence quarterly networking meetings and with our one-day annual events. We hope you will find your visit worthwhile as you learn more about what CPSEN has to offer all those working in the broader public sector. Our vision is to be recognized as the leader in supporting a dynamic community of practice implementing organizational excellence within the public sector. CPSEN has two different events. First, there are Quarterly Networking Meetings, an opportunity for public servants to network and develop professionally. The Quarterly Networking Meetings are half-day events that feature speakers, panels and – more particularly – networking and learning opportunities. Visit the Networking Meeting page to learn more. Then there are the annual one-day Symposiums. The last one-day event was CPSEN’s Public Sector Excellence Fair in 2015. The Fair program contained keynote speakers, a Talk Show panel, professional development sessions, excellence awards, exhibitors, and prizes. It was intended to hold a one-day Excellence Symposium in 2017 following a similar format but it became clear that there were too many one-day events competing for a limited body of attendees. The event planned for 2017 has been moved and is being considered for 2019. 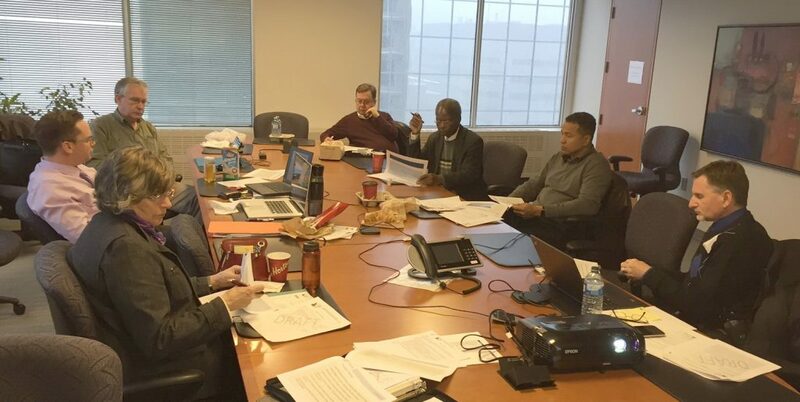 The CPSEN Board meets to kick off work leading to the development of CPSEN events. You are invited to volunteer to help with event planning and administration by contacting CPSEN Volunteer Director Elizabeth Mah at elizabeth@cpsen.ca. You can also help to promote CPSEN events by downloading event posters and posting them to your department’s bulletin board, adding it to your newsletter, or sending it to friends and colleagues. These posters will be made available for download.